To all those who were, are, and will be wonderful fathers. Noel looked up to find Rudy leaning against the doorframe, his gaze on Tim. To Noel’s frustration, Rudy just chuckled. What was so great about Rudy anyway? So he was handsome, big deal. Aside from flying for Kringle and delivering happiness to the world, what really was so great about him? After watching Rudy disappear down the hall, Noel turned to look down at Tim, who was out for the count. Swell. “Tim,” Noel grumbled, poking him in the shoulder. Tim didn’t stir, so he tried again. This time he received a little moan, which only went to further irritate Noel. How could something so small sleep so heavily? With a grunt, Noel reached down and lifted Tim into his arms. He ignored Rudy’s cheerful goodnight as he walked past and into the bedroom, closing the door behind him with his foot. Then he not-so-gently planted Tim on the right side of the double bed. Incredible. The elf could sleep through a volcanic eruption. Standing there looking down at Tim, Noel chastised himself for being so foolish. He should have left when he had the chance. Instead, he was stuck here with the last two elves in the North Pole he wanted to be stuck with. Throwing the blankets over Tim, he sighed when they ended up covering Tim’s head. Why was the elf so damn short? Giving the blanket a tug, his hand brushed against feathery, soft hair, and against his better judgment, Noel ran his fingers through it. 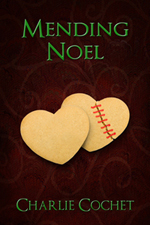 Tim stirred, letting out a soft sigh, and Noel quickly pulled away. He went to his side of the bed and sat down on the edge of it. Peppermint snaps! That was it. Tomorrow he was out of here. If Tim wanted to stay behind with his hero, then so be it. Noel wasn’t responsible for him. He was better off on his own anyway. After untying his robe, he dropped it onto the floor at his feet before lying down on top of the blankets on his side of the bed, as far away from Tim as possible. Confident that order would be restored to his world before his conscience got the better of him, he closed his eyes and attempted to get some sleep. Dreamspinner Sale Dec 8 - 14th! 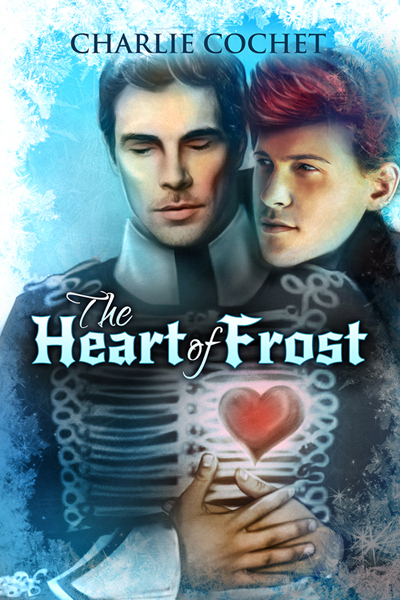 The Heart of Frost Blog Tour is Here!! Second Stop on The Heart of Frost Blog Tour: Joyfully Jay's! 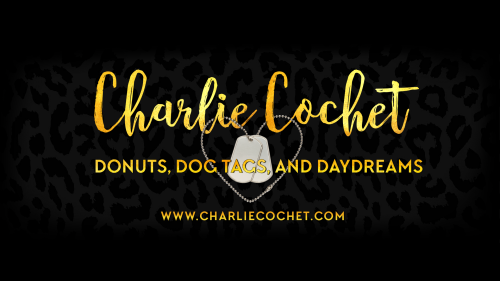 Over at Lex Chase's blog for Stop 3 on The Heart of Frost Blog Tour!